Richard - TOTALLY INTO IT! I am very new to cinemas, having started just under 1 year ago, although I had worked for EVT prior to starting in cinemas, which helped with my transition. I like working in a team environment and also like that each week is completely different which is a challenge in itself – but I love a challenge! I couldn’t believe how much goes on behind the scenes to help a cinema operate. From programming, projection, food & beverage, OHS and HR…it is a completely different perspective from being a customer. Not coming from a career in cinemas, I found my way to Bondi Junction via the Sales & Marketing department at EVT H/O as a Key Account Executive selling Gift Cards & Vouchers in the corporate market. Although my background was very much in sales and hospitality in the liquor industry and licenced venues. I was an Account Manager for DB Breweries in NZ, and the Hardy Wine Company as well as being the GM at Harts Pub in The Rocks. 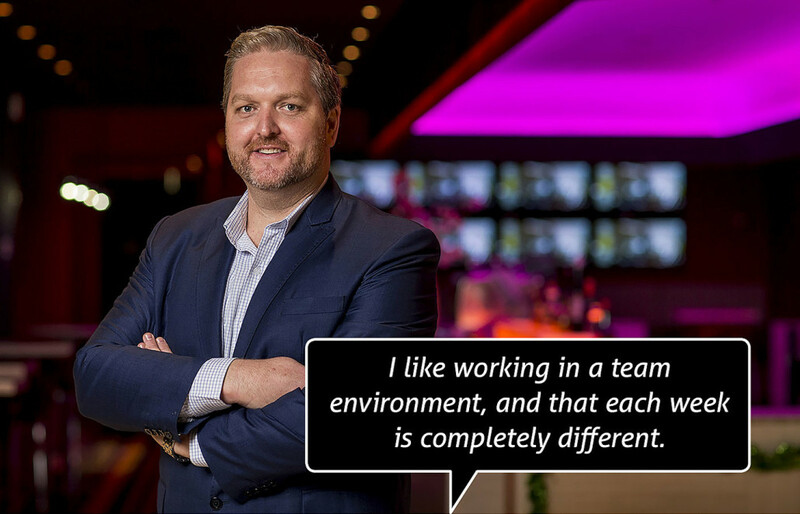 My experience in those roles has helped me naturally fit in to my role as GM of Event Cinemas Bondi Junction. During my short time as GM of Bondi Junction I was very proud of being named the Christmas Champion for the 2015 Christmas gift card sales campaign, helping drive a group of sites with the goal of exceeding sales targets and also awareness to their cinemas. Being named General Manager of Event Cinemas Bondi Junction is definitely my greatest professional achievement and I look forward to what the future holds within cinema operations. I am looking to establish myself as a quality GM, continuing to ask questions of myself, setting new goals throughout the next year and beyond. If I can do this well, I am sure doors will open for me within the organisation. For myself and being “green” in the cinema/entertainment industry, getting up to speed with the who’s who of distributors and also movie knowledge has been challenging. My current staff and customers know all there is to know about the movies. It’s the movies! I manage a cinema and my job is to provide an experience that my customers will remember. From purchasing there ticket, sliding through scoop ally to grab there cinema favourites and then watching the movie, I like being a part of the journey and there experience, hopefully making it memorable. It’s the movies! I manage a cinema and my job is to provide an experience that my customers will remember. From purchasing their ticket, sliding through scoop ally to grab their cinema favourites and then watching the movie, I like being a part of the journey and their experience, hopefully making it memorable. If you love a fast paced, diverse, challenging and amazing place to work, mixing customer service and hospitality, then apply for a job in the cinemas. Maybe one day I will have the opportunity. I was very lucky to say hello to Arnie at a premiere, and I had Neil Diamond book my GC Cinema for him and his wife …hopefully I will meet many more. It was hosting a group of friends and family to a night of music, food and beverage before a screening of Straight Outta Compton. Being a 90’s kid this movie was perfect to spend quality time with the people that mean the most to me…and in Vmax the music sounded great. Yes. It is fantastic, I love being able to help a colleague and believe it is my responsibility as a leader to mentor and guide my staff. Of course this can be challenging, but the results are worth the challenge when you see the staff you managed achieve their career goals with your guidance. 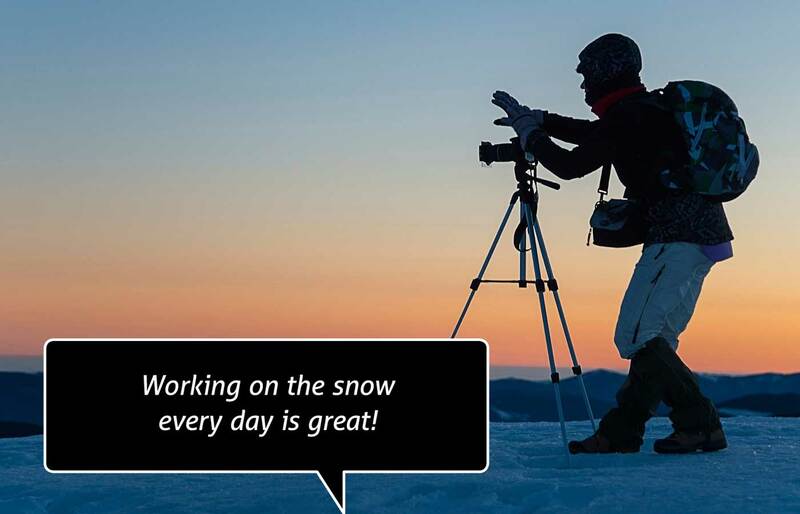 What skills have you learnt on the job? Communication skills, time management, merchandising.